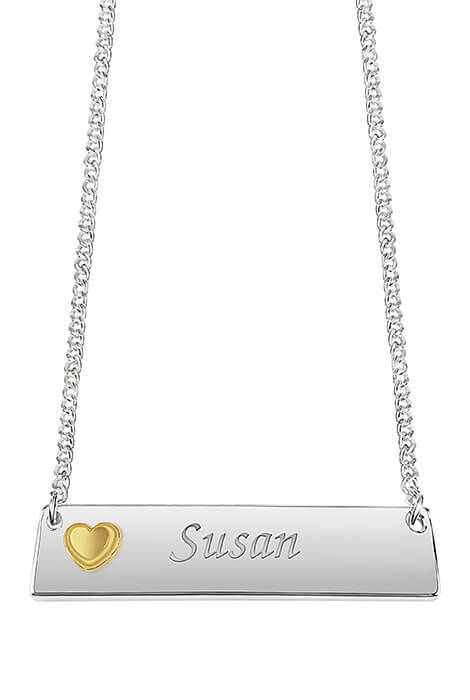 A perfect way to express your love! 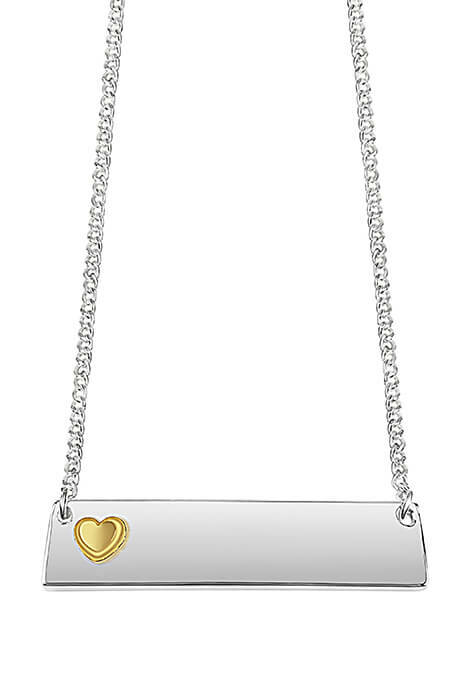 Beautiful silverplated bar necklace features a petite goldplated heart on one end and plenty of space for your name or the name of a gift recipient. Bar measures 1 1/2" long x 1/4" high. Rope chain with lobster clasp is 21" long with the included 2" extender. Specify name: 1 line, up to 9 letters/spaces, upper/lower case. Base metal resists tarnishing. Allow 4–6 weeks for delivery.